Casey Brown (formerly Casey Stockard) is a very busy mother in Utah’s breathtakingly beautiful desert. She works primarily as a cosmetologist but also enjoys motorcycling, modeling, photography and various creative activities. She is an award-winning poetess with a talent for imagery and has published three poetry collections through Middle Island Press. Utah poet Casey Brown (formerly Casey Stockard) presents her third compilation of poetry which delves heart-first into the trials of relationships, the pangs of maternity and illness, and the joy of new love. This country verse is underlined with lessons learned and experience to pad a gentle soul’s imminent footpaths along the bumpy roads of the rural desert West. 47 pages. Surviving Myself is where romanticism meets reality with a clash of hope and the pangs of suffering, and with delivery of lines finely finished in rhyme. 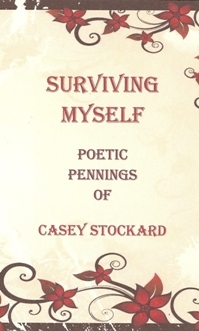 Readers who enjoyed Casey’s first chapbook will love her second one published through Middle Island Press. And flee into the dark. Rest now, rest now, tiny bug. 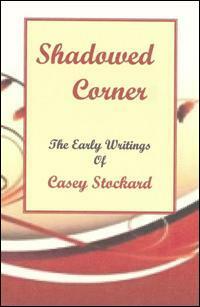 This popular collection is a combination of poetry and descriptive paragraphs that describe the struggles of sheltered innocence longing to break free, and occasionally glimpsing that freedom in the sunrise, on a horse, or in a shadowed corner of the mind. With eight seconds full of pride. He’s on the devil’s land. Scurry across the shaken mud.